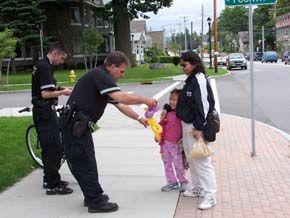 When most citizens think of police officers, they think of the beat cop, and indeed, the police patrol function continues to be the backbone of community law enforcement. This seemingly simple police activity is really composed of a variety of complex daily decisions and activities which include the discretionary use of authority and prevention of criminal activity by an assertive police presence. It also involves maintaining good relations with citizens in the community, because, like it or not, cops may at times have to depend on those citizens to help them do their jobs effectively. Examples include obtaining useful information in trying to solve a crime, or helping to maintain order and calm neighbors’ anger to forestall a potential civil disturbance. If nothing else, officers know they will encounter the same people – "repeat customers" – on a regular basis, and so maintaining good relations works in everybody’s favor. While the actual effect of foot patrol officers on crime statistics is still being debated, surveys clearly show that citizens feel safer and more confident in their local police department when the officers are a living, breathing presence in their daily lives. Ironically, however, it is the foot patrols that are often the first to undergo budget cuts in favor of more flashy special tactics and investigative units. For patrol cops to do their jobs effectively, they must adopt a constructive territoriality about their patrol areas, sometimes known as owning the beat. By becoming increasingly familiar with the geography, economy, personality, and sociology of their beats, patrol cops come to know intuitively what’s normal or what’s out of place for their respective neighborhoods. Additionally, officers who feel they are an integral part of their communities are less likely to resort to physical force to resolve crisis situations that could be verbally effused and de-escalated. In return, citizens come to trust and respect those officers they perceive as consistently trying to keep order without excessive harshness, and who truly try to understand the community’s concerns. Although TV cop shows often portray police work as nonstop action, in real life the patrol officer’s job is more like that of a firefighter, paramedic, or air traffic controller: long periods of monotony punctuated by brief episodes of intense, life-and-death activity. Officers have to be able to react quickly and go from “0 to 60” at a moment’s notice. They have to be able to respond courageously and aggressively in critical situations, yet possess sufficient presence of mind not to overreact and risk inflaming the situation further. In between, they must deal with various and sundry crises, ranging from citizen disputes to traffic violations. As noted above, to be effective, officers have to gain intimate knowledge of their patrol areas: the geography, economy, demographics, crime statistics, local culture and quirky characters of their beats. Only in this way will they hone their instincts as to what’s normal and what’s suspicious in their patrol areas. This practical expertise further enables officers to quickly size up situations and make prompt, effective decisions with regard to what specific actions to take, such as a crime in progress, family crisis, or citizen dispute. While not all officers can be Olympic athletes, they are expected to maintain some basic standards of physical conditioning and psychomotor skill with respect to strength and endurance, manual dexterity, facility with firearms and equipment, driving skill, and so on. In the same way, while not all officers can be paragons of psychological health and virtue, all cops are expected to have the basic mental skills of mature judgment, problem-solving, and independent thinking. 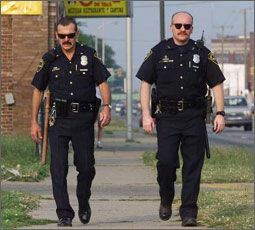 Even more so than other emergency responders, police officers are given wide latitude in how to handle many types of routine and complex policing situations, ranging from the decision to write a traffic ticket, to whether to use their baton, pepper spray, taser, or firearm in a dangerous criminal confrontation. In this regard, police officers need to be able to work under varying levels of supervision; from tight micromanagement of their every move to almost no supervision at all, leaving important decisions to the officer’s discretion. Important psychological skills extend to the interpersonal domain as well. Patrol officers, especially in larger metropolitan areas, will have to deal with a wide range of citizen ages, ethnicities, cultures, economic levels, and personalities. Officers must sometimes endure impolite or verbally abusive behavior, while maintaining a professional presence at all times and carefully treading the line between authoritative (think Sheriff Andy Taylor) and authoritarian (think Deputy Barney Fife) police presence. Effective officers must be able to utilize appropriate conflict-resolution skills to prevent situations from escalating, while maintaining objectivity, balance, and the perception of fairness. They must be able to cope with different kinds and varying levels of stress, and yet at all times maintain a high level of personal integrity and ethical conduct. This is not just a nice, politically correct idea; it is essential to maintaining authority and credibility on patrol. A vicious cycle may then develop where police take this as a sign of deliberate community apathy or scorn — or even collusion with criminals — and therefore restrict their patrolling activities still further, or become even more impatient and irritable with citizens. Disrespected citizens may channel their frustrations into written complaints against officers. As in any relationship, unwelcome or mildly irksome behavior may be tolerated if it occurs in the context of basic trust and common purpose. But in the presence of an already existing tense and adversarial relationship, even seemingly inconsequential annoyances may be interpreted as signs of deliberate abuse, and some departments may be flooded with verbal and written complaints, often against the same officer. On the one hand, this uses up personnel resources that might be productively allocated elsewhere. On the other hand, a complaint that is registered is at least one that can be addressed. The numerous unrecorded slights and hostilities are far more ominous because they are left to fester within a community. Discourteous officer conduct may lead to verbal confrontations between officers and citizens. Often, this represents the outburst of a cumulative build-up of frustration from past unpleasant interactions on the part of both officer and citizen. At the very least, repeated hostile interactions are grating to the morale of officers and citizens alike. At worst, they lead to physical confrontations necessitating frequent arrests that further inflame community hostility. If matters have escalated to this point, verbal conflict-resolution strategies can be assumed to have failed – that is, if they’ve been tried at all. 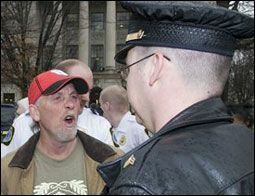 Even more so than with verbal confrontation, repeated citizen experiences of being roughed up by the police – even if the arrest started with an assault on the officer by the angry citizen – are corrosive to the morale of patrolling officers and only highlights to citizens the image of the police force as a hostile army of occupation. At the beginning of every one of my law enforcement crisis intervention classes, there’s always at least one cop who tells me, “My job is to catch criminals; I’m not paid to talk.” But verbal communications skills are crucial for success in virtually every aspect of patrol policing efforts. Unless an officer intends to either ignore or arrest every citizen he or she comes in contact with on the street, communication skills are vital for both solving mundane problems and defusing potentially explosive crises. First, the majority of patrol time is spent in routine citizen contact that does not involve serious criminal law enforcement action. Traffic stops, accident investigations, mediating neighbor beefs, calming angry or intoxicated citizens, and handling merchant complaints all require good verbal skills to deal with the situation without allowing it to escalate. Second, successfully resolving a minor crisis, such as a family dispute or neighbor quarrel, might eliminate the need for later call-backs to the same scene for a major crisis, such as domestic battery or destruction of property. It thus makes an officer’s job easier. Third, those crisis situations that begin as hot calls can be more effectively de-escalated by officers who possess good verbal skills, potentially eliminating the need for physical force, restraint, and arrest. Again, less risk of injury to officer or citizen and less paperwork. 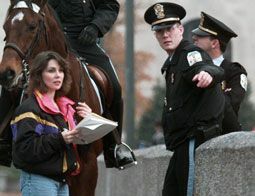 Any cop who thinks talking to citizens diminishes his or her tough-guy persona should consider that many of the important communication skills patrol officers can use to defuse tension and increase cooperation in the face of everyday crises are adapted from those used by trained hostage negotiators whom nobody would regard as a bunch of wusses. So practicing these skills on daily patrol will enhance your application of them to a wide range of crisis situations. Basic street-level communications skills include a variety of approaches. To begin with, angry citizens may just want to vent. To a certain extent, allow this venting to occur, as long as it does not escalate to rageful spewing or cross over into physical violence. Venting uses up adrenalin and sometimes allows the venter to gain some insight into his own thoughts and feelings. Listen patiently at first, without trying to dissuade or argue. Show interest in what the person is saying through eye contact and attentive body posture. Even if a disturbed or intoxicated citizen is acting crazy or goofy, avoid patronizing him. If your partner is present, avoid the temptation to give each other snickering glances, which is a sure sign of disrespect to a citizen who thinks what he’s saying is important. If the subject curses or insults you, try to respond calmly without being baited into retaliating with anger or sarcasm. Of course, if a subject threatens or attacks you, and this is an arrestable offense, do your job. But remember that many situations are far from clear-cut and that officers have great discretion in how they choose to respond to a wide range of obnoxious citizen behaviors. Certain tactics are useful for calming angry citizens and reducing the potential for violence. Start with your voice. For some officers, voice control is a natural talent, but for most, this skill can be trained and improved with daily practice. Learn to respond calmly to insults and challenges, without resorting to sarcasm or harshness of tone. If you feel yourself getting agitated, make a conscious effort to modulate the pace of your speech and tone of your voice. Modulating your breathing helps keep your voice cadence under control. As part of your self-training, practice different speech styles: sympathetic, commanding, reassuring, businesslike, logical, and so on. The goal is not to act like a trained parrot, but rather to become familiar and comfortable with different communication styles in order to increase your repertoire of flexible skills in handling interpersonal encounters. This gives officers tremendous power to handle virtually any kind of crisis. Citizen: I know she took those garden tools from my shed, because I could hear my dogs barking in the yard, and the next thing I saw was her going into her house. Officer: What kind of dogs do you have? C: Two rotweilers. What the hell difference does it make what kind of dogs they are? O: I mean, do you find that dogs are a good way of knowing who’s coming and going on your property? C: Yeah, they scared off some robbers a few months ago. Nobody wants to mess with rotweilers. O: So somebody would have to be pretty crazy to steal something from your yard if they knew you had these dogs there. Perhaps more subtle, but equally potent, are a range of nonverbal behaviors that powerfully influence human interaction. Depending on the nature of the interaction, officers may want to manipulate their own authority image. For example, when interviewing suspects, unruly citizens, or general “hard cases,” projecting a firm position, adopting a commanding stance, decreasing personal space, moving slowly and confidently, and making steady but not challenging eye contact all serve to increase the controlled intimidation factor that may mollify otherwise overly attitudinal or uncooperative subjects. Again, the goal is to project authoritativeness, not authoritarianism. Conversely, some meeker, law-abiding citizens may be so intimidated by the police presence that they are almost paralyzed with fear and are unable to get their story out. In such cases, it is better to stand back a few paces, relax your stance or even sit down, focus some attention on note-taking and other non-eye contact activity, and speak in a reassuring tone of voice. Remember, the goal of almost any citizen interview is to increase the flow of communication and gain cooperation. Note-taking, by the way, serves another important function when trying to maximize information-flow from citizens. Seeing an officer write down what the citizen says gives that citizen the impression that his or her input is important, which may mean a great deal to citizens who are accustomed to having their comments shrugged off by seemingly uncaring officers. But be careful about using this device with overly paranoid citizens who may be suspicious that you’re “making a record” of what they’re saying. Finally, it may be necessary to physically separate two sparring citizens to keep a verbal fight from escalating to blows, which would necessitate an arrest. The majority of police-citizen contacts occur face-to-face, either one-on-one or in small groups. Accordingly, certain types of interpersonal communication processes are applicable to daily police work on the street. As noted above, a good deal of this communication occurs nonverbally. If language refers to the verbal content of our speech, then paralanguage is the message we send by our tone of voice, pitch, inflection, and phrasing. Neuropsychologists refer to this as the prosodic features of spoken language, which is mediated by the brain’s right hemisphere, as opposed to the vocabulary and grammar of language, which is a left-hemisphere function. Everybody knows that the same literal sentence, e.g. “I’m feeling just fine,” can be expressed and interpreted as a statement or a question, as serious or sarcastic, by the style of vocal inflection used. Other paralinguistic features that may be useful include pauses, stutters, lowering or raising of voice pitch or volume, interjected phrases (“uh,” “y’know”), and so on. Active listening denotes putting conscious effort into a dialogue, which is different from casual conversation. Giving a citizen your full attention and focus, and indicating your involvement and concern for what he or she is telling you will almost always serve to increase communication, trust, and cooperation. This can be vitally important in resolving acute crises such as suicide and hostage incidents. Kinesics describes nonverbal, body-language aspects of communication, such as facial expression, gestures, posture, and other physical movements that transmit messages that either reinforce or contradict the spoken message. This aspect of communication is of interest to law enforcement investigators and poker players alike. In fact, paralanguage and kinesics are included in training in interview and interrogation strategies, but are also useful to enhance communication for everyday citizen encounters on patrol. Intimate space extends from actual physical contact outward, from about 6 to 18 inches. This is usually the province into which we comfortably allow friends or close associates. Personal space continues out from 18 inches to about 4 feet. This is the comfort zone of most business and personal acquaintances. Social space extends the perimeter to about 4 to 12 feet. This is about the range that most strangers feel comfortable interacting within, and which will contain most nonconfrontational police encounters on patrol. If officers find themselves moving closer during an encounter, it usually signals some trouble on the psychological radar. Public space includes everything at 12 feet and beyond. Of course, in crowded urban areas, it is not uncommon to see individuals physically jammed together, yet maintaining psychological distance by focusing on their own activities – just think of a crowded bus, subway, elevator, or supermarket checkout line. As with all of these skills, patrol officers who adeptly manipulate interpersonal space will experience the greatest success in dealing with citizens on their beats. Many officers do this instinctively, but it is a skill that can be learned and refined with practice. As noted earlier, preventing a violent episode from occurring forestalls the need for forceful arrest and minimizes the safety risk for the citizen, the officer, and bystanders. The following intervention techniques apply to any subject whose behavior appears at risk of escalating to violence. Causes of citizen-officer violence. Every officer has his or her own theory as to what causes a citizen-officer encounter to turn violent, but there have been only a few systematic studies of these factors to date. To summarize, there appear to be two major kinds of circumstance in which officers are assaulted. The second situation in which officers are assaulted involves a compatriot of the citizen jumping in to “help” his friend in what he perceives to be unjust manhandling by the police officer. 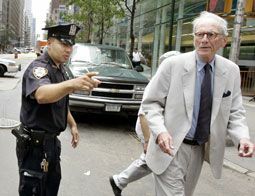 Although there will always be a small cadre of violence-prone citizens who react with hair-trigger aggression to even the most minimal provocation, clearly, a large number of violent episodes between police officers and citizens could be averted by the use of verbal de-escalation techniques, applied in the context of basic courtesy and good common sense. Unless there is an emergency, approach the subject slowly and cautiously. Try to size up the situation and analyze the scene as you get closer. Begin the encounter with tact, patience, and respect, but don’t “play games” with a clearly defiant subject if he clearly has no intention of cooperating. Allow a few minutes for the subject to calm down. If the subject vents, listen to both the content and emotional tone of what’s being said. Remember, nonviolent verbal venting uses up energy and adrenalin and also establishes a rudimentary form of communicative bond. But also remember that venting should not escalate to uncontrolled ranting, because the latter can inflame the subject’s own emotional agitation and lead to physical violence. Often, it’s a judgment call. Keep your tone and demeanor professional – don’t take the bait with personal insults hurled at you, but calmly deflect these and return to the matter of calming down. You don’t have to be a robocop; you can show a little human emotion and personality, and even a little humor, but be careful about overusing jokes, because disturbed subjects tend to be very literal and concrete, and your well-intended kidding around to lighten the moment might be interpreted as mocking the citizen. Again, use your perception and judgment of the situation to guide your behavior. Avoid making any threats that you aren’t prepared to back up. Use force as a last resort, but if it comes to that, use it swiftly, decisively, and as noninjuriously as possible. But first, always try to leave the subject a face-saving way out of his predicament: this will make his voluntary cooperation more likely. Also, remember about the earlier point about repeat customers: the next time you encounter this individual or his family and friends, do you want the first thing they recall about you to be how you shamed and humiliated the citizen last time you and he danced? Some officers advocate applying a version of the old standby “Mutt & Jeff” interrogation room technique to the setting of the street interview. In this scenario, there are two officers, one who acts as the angry, hot-headed Officer Mutt, ready to bust the subject at a moment’s notice, while the other plays the calm, cool and collected good-guy Officer Jeff who really wants to keep Mutt off the subject’s back, if only the subject would cooperate. The problem is that, in such situations, it is all too easy for Mutt to take things too far, triggering a violent response in the subject. Again, use your training, judgment, and common sense. As an added benefit, the more adept officers are at using verbal de-escalation techniques and conflict resolution skills, the fewer citizen complaints of excessive force or other uncivil behavior will plague the department. Officers who are “good talkers” tend to pride themselves in their ability to handle virtually any kind of situation without putting themselves or others in physical danger. They feel more confident, not less, than the officer whose automatic response to every confrontation is to reach for the handcuffs, pepper spray, taser, or baton. Law enforcement agencies that are serious about community policing should make communication skills training a standard part of their academy and continuing education curricula.